Every morning, I wake up with a childlike curiosity about what lies outside my windows. Is the bull moose that sparred with the lacrosse net back? Or will I see that elk that was keeping me up all night bugling? Maybe I’ll encounter his romantic conquest or one of his rivals. Living in the middle of a wildlife migration corridor in Jackson Hole, I happen upon animals like this almost daily. But I still marvel at every sighting—I even wake up my children to share wildlife sightings with them. Coexisting with such iconic wildlife is one of the reasons why I cherish living in this special place. Jaw-dropping scenery is another. As the morning alpenglow paints the sky pink behind the Teton Mountain Range, I drive my kids four miles through an astounding landscape to the little red schoolhouse in Wilson, keeping a tally of the wildlife we see on the way. We spot elk, coyotes and fox in the open meadows and bald eagles and osprey nests on the tops of power poles. We crane our necks to look for moose in the willow bottoms. Yet another reason for my love of Jackson Hole is its powerful sense of community. The scene at my children’s school reminds me of a Norman Rockwell painting. Young families walk together, bike or pull their kids in a sled to school, with the non-school-aged children in tow. 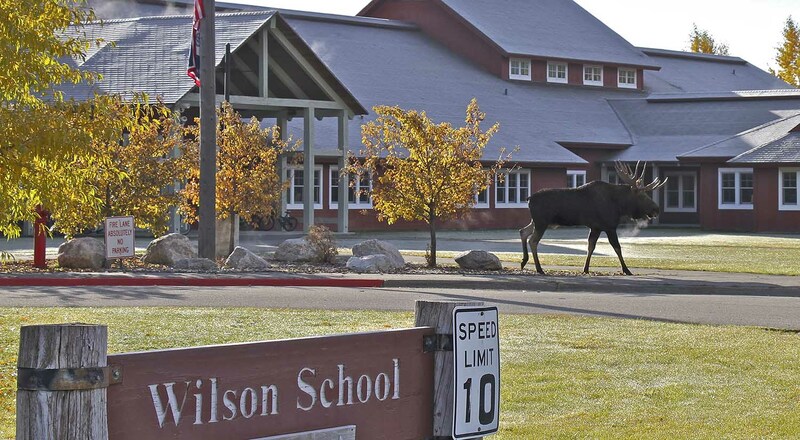 Some days they are greeted by moose that frequent the schoolyard. I often cross paths with these same parents during the course of our work days, for example, when I stop for coffee at Pearl Street Bagels in Wilson. Later in the day, I may connect with them again on the sidelines of a sports field or at an evening gathering. No one could live truly anonymously in this tightly knit community. As a consequence, we hold each other accountable, offering our best selves to the world day in and day out. It’s like living in the frontier days never ended—we just have a few more creature comforts than our Wild West predecessors had back in the 1800s. The magical quality of this idyllic setting seeps into every aspect of our daily lives, from our communal devotion to steward the land to our excitement about outdoor recreation and celebration of art, culture and community—all at the same outsized scale as our natural surroundings. 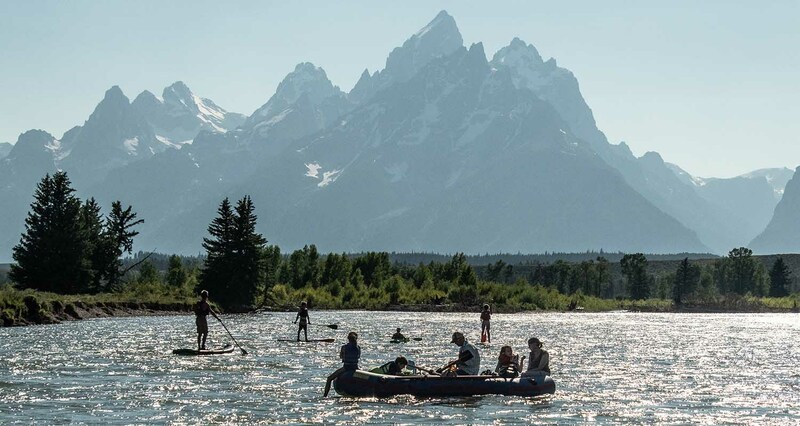 Jackson Hole’s most obvious selling point is its unmatched grandeur of landscape—wide, open meadows, trout-filled rivers, boundless forests and the unforgettable spires of the Teton Mountain Range. The wonderment that the Native Americans and early pioneers felt when they first saw the vast spaces surrounding the Tetons still exists today, thanks to the wonderland that is the Greater Yellowstone Ecosystem. 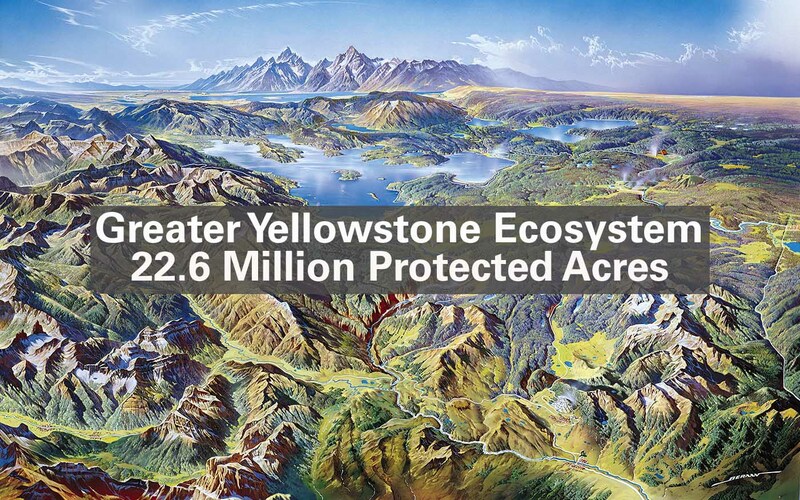 The GYE, as we call it, has a 22.6 million-acre assemblage of contiguous, protected land, including Yellowstone and Grand Teton national parks and other adjacent wild lands across Montana, Wyoming and Idaho. It’s the largest and wildest such region in the lower 48 states. An integral part of the GYE, Jackson Hole is often called the American Serengeti. The scale of its open spaces, like the length of a moose’s legs, is outsized. So, too, is the number of species that call this place home. We share this ecosystem with 300 species of birds, 16 species of fish, five species of amphibians, six species of reptiles, and 67 species of mammals—including seven native ungulate species and two bear species. This is one of the few places on earth providing enough habitat to allow so much wildlife to survive and thrive. Since 1975, when grizzly bears were placed on the endangered species list, the number of grizzlies has more than tripled to over 700, thanks to the diverse food supply and unhindered land. 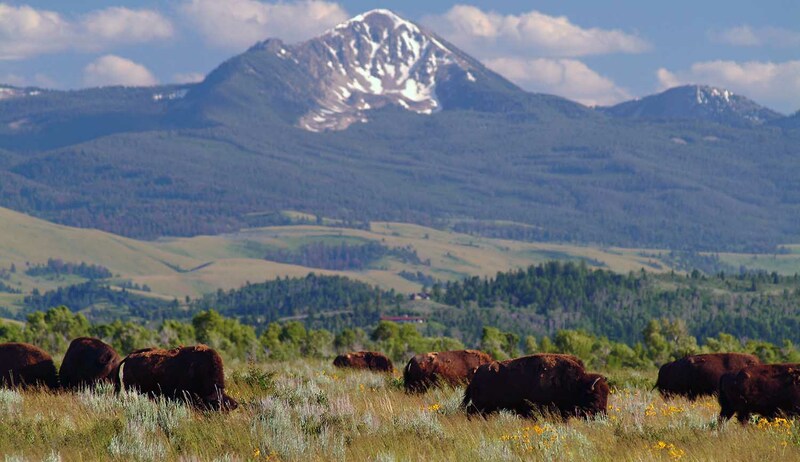 Jackson Hole also hosts the largest elk herd in the world and a thriving community of native bison (the symbol of the state flag), as well as bighorn sheep and numerous raptors. We have even played a major role in the revival of the bald eagle, our national bird. I always keep a camera in my car to capture not only chance encounters with wild animals but also the changing faces of the valley itself, from spring rainbows and summer sunsets to bull moose walking through town and the ever-changing elk herd, which winters on the National Elk Refuge. Witnessing this unique coexistence between mankind and nature is exhilarating on a daily basis. Being home to one of the largest elk herds on earth makes Jackson Hole a special place. Elk figure prominently in our culture. The original settlers relied on them for sustenance and, while there are a lot of other ways to find food today, the fall harvest has become a ritual for friends and family alike, whether they are hunting on horseback or on foot. 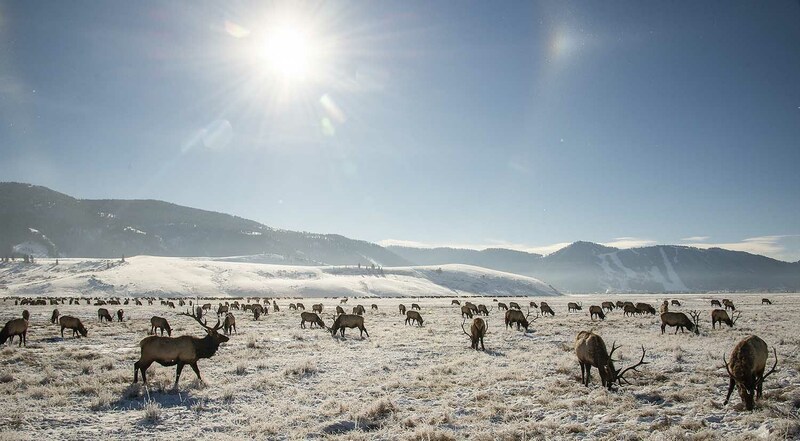 An average of 7,500 migrating elk winter on 24,700 acres in the National Elk Refuge, an area just north of town that is surrounded by national forest. 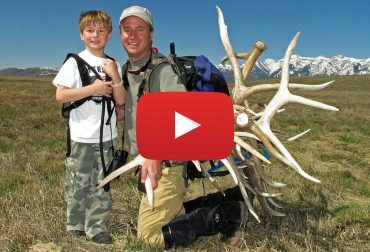 In the spring, after the elk have shed their antlers and begun to seek higher ground, the Elk Refuge opens its borders to the Boy Scouts of America first, then to antler hunters. The Boy Scouts, who have been getting the pick of the litter since 1950, sell their antlers at the annual Elk Fest auction on the town square, another incredible scene. While it was the natural beauty that first attracted me to Jackson Hole, it is the community of people this place draws, people who share a passion for wildlife and wildlands, that keeps me here. The list of go-getters with a commitment to give back and determination to keep this place wild is vast, as well, and many generations long. Recognizing the magic of this region, early conservationists quickly established its place in history. Explorers in what is now Yellowstone National Park were awestruck by this land of fire and ice and wild animals; they insisted that it be preserved. On March 1, 1872, Congress established Yellowstone National Park in the territories of Montana and Wyoming “as a public park or pleasuring-ground for the benefit and enjoyment of the people.” Its southern neighbor, Grand Teton National Park, was established 57 years later. The porch where the conversations happened that lead to the creation of the Wilderness Act. Grand Teton National Park is also home to the Murie Ranch, which is known as the birthplace of conservation because of the pioneers it attracted and the legislation that originated there. In the 1940s, Olaus Murie, a conservationist who had come to Jackson Hole to study the elk herd, settled on the south fork of the Snake River near the community of Moose with his brother Adolph Murie, a scientist, and with their respective wives, author Mardy Murie and Louise Murie (later MacLeod)—both also dedicated conservationists. 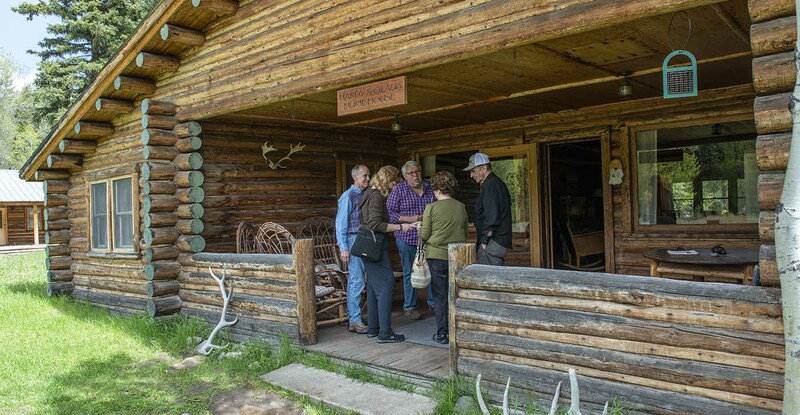 The Muries began some of the earliest conversations about protecting wildlands on their historic front porch, and they sparked a national movement that led to the creation of the 1964 Wilderness Act and the Arctic National Wildlife Refuge. Their cabin, a national landmark that now belongs to the National Park Service, was the headquarters for The Wilderness Society in the 1950s when Olaus served as its president. A plaque next to rocking chairs on the front porch marks the spot where the modern conservationist movement was born. John D. Rockefeller Jr., the son of the Standard Oil founder, was another Jackson Hole visionary and a generous steward of this land. He bought about 35,000 acres in the 1920s to enlarge Grand Teton National Park. The Rockefellers retained 3,000 acres for their ranch, which they later donated as well. The Rockefeller family inspired a long line of philanthropists who also felt compelled to protect the land around Grand Teton National Park. To date, the Grand Teton National Park Foundation has funded more than $64 million in projects, including the Craig Thomas Discovery and Visitor Center, the restoration of trails around Jenny Lake (the most visited spot in the park) and the purchase of Antelope Flats from the state of Wyoming. Now home to more than 200 nonprofit organizations, Jackson Hole is the largest philanthropic community in the country in terms of gifts per capita, thanks to the generous philanthropists who have come to live here. In 1997, an anonymous couple who goes by the name of Old Bill donated $500,000 to create a community-driven, collaborative fundraiser run by the Community Foundation. Matching local gifts, Old Bill’s Fun Run has raised more than $159 million for local nonprofits in the past 20 years. Like Old Bill, many of the philanthropists who are attracted to Jackson Hole appreciate the privacy provided by the valley’s great open spaces, like to live simply and do not draw attention to themselves. Yvon Chouinard, the founder of Patagonia, who prides himself on wearing old clothes and preaches mindful consumption, keeps a bare-bones log cabin that he and friends built in 1976 not far from Grand Teton National Park. 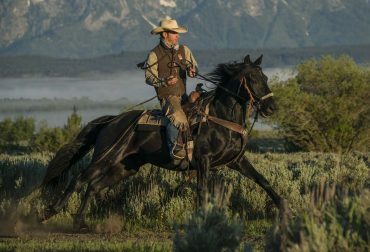 Today, thanks to a century-old legacy of conservation and philanthropy, an outsized proportion of open space remains undeveloped in Jackson Hole. Private land is scarce here because more than 97 percent of the land in Teton County (which is, essentially, Jackson Hole) is federally owned or managed by the state. Of the 3 percent remaining in private ownership, which amounts to about 77,000 acres, the Jackson Hole Land Trust alone protects almost 25,000 acres. Additional protections limit development in critical habitat for wildlife like the river bottoms. This leaves only about 2 percent of the land available for human development. Grand Teton and Yellowstone national parks make up the lion’s share of the federally protected land in Jackson Hole. Around 40 percent of Yellowstone’s 2.2 million acres is in the county. Grand Teton National Park encompasses 23,700 acres, with 200 miles of hiking trails. In addition to the national parks, Jackson Hole includes state lands, portions of five national forests, three national wildlife refuges, Bureau of Land Management holdings and private and tribal lands. The Bridger Teton National Forest alone has more than 2,000 miles of hiking trails. All of this open space makes Jackson Hole a world-class playground, featuring one of the greatest ranges of mountain activities on the planet—everything from climbing to fishing. Whether you are driving around looking for grizzlies to come out of hibernation, hiking to Phelps Lake for a swim or boating and camping on Elk Island in the middle of Jackson Lake, there is a phenomenal variety of activities to explore. Fun-hogging is a way of life in Jackson Hole. We structure our days around having an outing with friends, be it a hike with dogs up the old Teton Pass road after work or an early morning boot-pack up and ski down Glory Bowl before work. 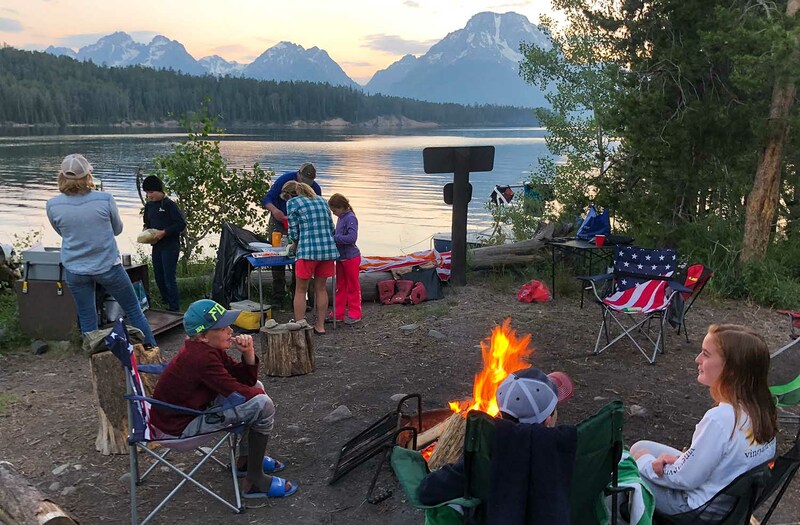 Weekend adventures take you farther afield, with camping on the lakes, backpacking in the Tetons, and rafting and fishing the rivers. One thing I’ve learned after living here for over 25 years is that the amount of recreational gear in my mudroom never ceases to grow. In fact, the best way to get to know Jackson Hole residents is by looking at the overflow of gear in their garages. My outsized garage houses paddleboards, kayaks, inner tubes, bikes, golf clubs, and camping, fishing and hunting gear, not to mention my quiver of skis. As I live here longer, I have seen the range of activities grow from people rowing skulls at sunrise on Jackson Lake to skijoring (being pulled on skis behind horses) in the winter. While other ski destinations in the West are seeing increasingly shorter winters with declining snowfall, Jackson Hole has been a safe bet for winter sports. Since 2014, we have had the three snowiest Februaries on record, according to local meteorologist Jim Woodmencey, who has the website MountainWeather.com. More and more snow enthusiasts have been flocking to the Tetons, one of the few Rocky Mountain regions that has consistently gotten more than 300 inches of snow per year. 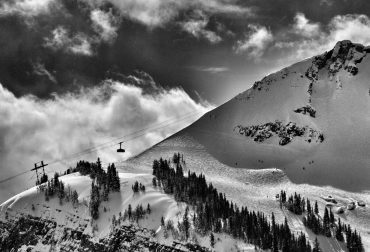 To many experts, Jackson Hole Mountain Resort, or JHMR, is the holy grail of skiing, thanks to the visionaries who built it and have maintained the integrity of its 4,000-plus-foot vertical drop. Voted best ski resort by Forbes Magazine in 2016, 2017 and 2018, it is one of the last remaining privately owned ski resorts in America, which allows the owners to provide outsized amenities compared to a corporately owned resort. Since 1992, when the Kemmerer family bought the resort with money they made selling one of the largest coal mines in the U.S., they have invested more than $200 million in capital improvements, including a new tram and two gondolas, thus upholding JHMR’s reputation for having some of the steepest and deepest terrain in North America. In recent years, the resort has become a much bigger summer destination for those who want to get up high. It hosts yoga on the deck at the top of the gondola, chairlift rides to mountain bike trails, tandem paragliding, bungee-jumping trampolines, a ropes course and a free summer concert series. The tram is open almost all year round for those who like to hike as well as ski, and the Grand Teton Music Festival features world-class chamber music. Snow King Mountain Resort, Jackson’s “town mountain,” has done a great job expanding both its winter and summer activities. Home to the Jackson Hole Ski Club, it is a great racing hill, boasting the longest and steepest contiguous pitch in the lower 48 states. Unlike JHMR, Snow King distributes uphill passes to skiers who choose to either hike or stick “skins” (textured material providing traction) to their skis and unlock their heels from their boots so they can travel up the mountain, rather than ride the lifts. It also has night skiing. In addition, Snow King has a year-round mountain coaster, winter sledding on inner tubes and, in the summer, miniature golf, a maze and one of the only ropes courses in the world that uses the natural forest. In the summer, it is one of the most popular hikes for those who like to get up high fast. People often hike up Snow King at sunrise before work or turn a hike to the summit into a power meeting and take the lift down to get back to the office. The same passion that inspires conservationists to protect Jackson Hole’s wild lands, wildlife and outdoor recreational opportunities also fuels the valley’s arts and culture scene. The National Museum of Wildlife Art, Grand Teton Music Festival, Center for the Arts, Dancer’s Workshop and Jackson Hole Wildlife Film Festival are just a few of the cultural organizations and events that draw some of the best and brightest talents here to perform and share their gifts. The New York City Ballet and cellist Yo-Yo Ma perform here on a regular basis. 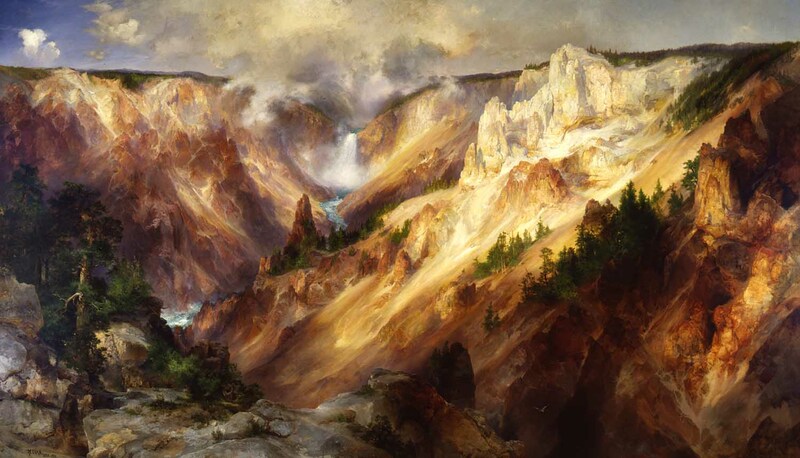 The wild beauty and unique energy of Jackson Hole’s vast open spaces inspire extraordinary artworks in many forms, from traditional landscape paintings to larger-than-life sculptures, to contemporary multi-media artists. 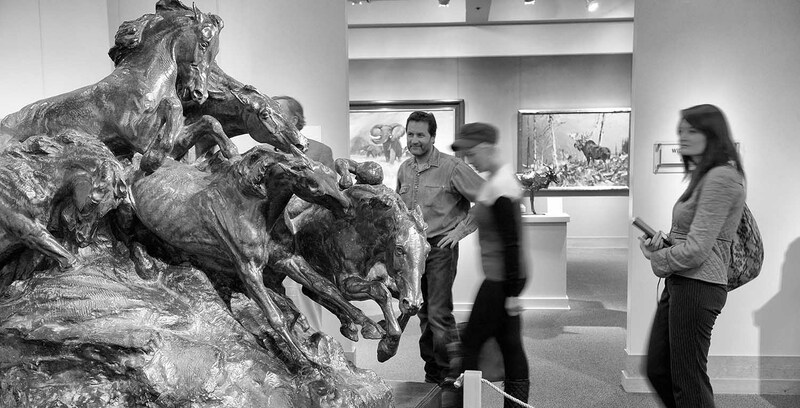 Thanks to the benevolence of art patrons, Jackson Hole now attracts artists like Chinese sculptor Ai Weiwei and has more art galleries per capita than almost any other community. 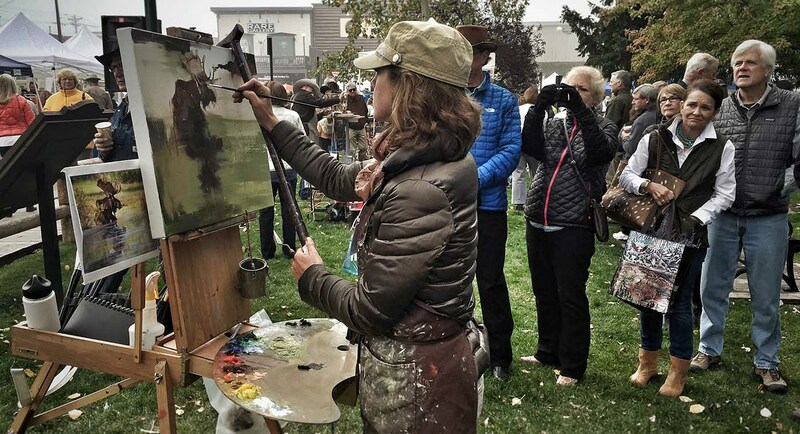 The Art Association of Jackson Hole sponsors incredible summer camps, art fairs and adult education, while also supporting a vibrant gallery scene. As I think about why most of my friends moved to Jackson Hole, it really comes down to quality of life. Conversations are rarely centered on what you do for a living. They’re more interested in what you are passionate about and the adventures you’ve been on lately. 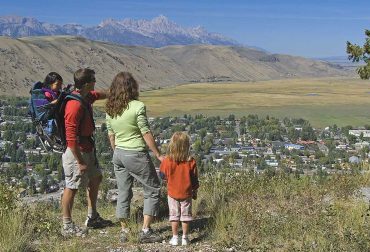 If you have children, Jackson Hole provides an instant community of parents and kids who are excited to share adventures with you and your family. I especially enjoy the quality of family time I get here. Whether you are going for a hike in the national park or boating at the lake, most social events include kids. Our friends have become our extended family. As your children grow up, they can enjoy a lot of freedom because the town is so small, public transportation is readily available and parents look out for each other’s kids. Some may even go so far as to say that the ethics of the “cowboy community” and the Code of the West have helped promote a self-policing system that makes our community safe. People who live here have a shared set of values and love of this place that allow us to break down barriers and form deep and meaningful bonds. 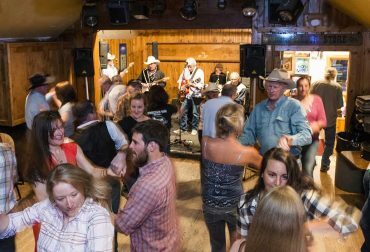 There’s no better place to see this in action than going to “Church” at the Stagecoach on a Sunday night, where cowboys, billionaires and ski bums have been rubbing elbows and two-stepping together for more than 50 years. Unlike most mountain towns, there is a reverence for the Old West and a living history of the cowboy lifestyle here. The history of adventure in the Tetons goes back to before the Stagecoach Band’s Bill Briggs first skied down from the summit of the Grand Teton in 1931. Today, you can combine that kind of adventure and solitude in nature with some of the finest art, culture and dining experiences right outside your back door. It is possible to climb the Middle Teton, float or fish the Snake River, or ski the backcountry and be home in time to get ready for a 7 p.m. reservation at the Snake River Grill. Three-story hydroponic farm, Vertical Harvest in downtown Jackson, Wyoming. In addition to engendering a greater appreciation for nature, all the time we spend outdoors motivates us to stay in shape and eat well—so we can keep up with our adventure partners! Two different farmers markets and four major grocery stores cater to our desire for good nutrition. A cutting-edge greenhouse, Vertical Harvest, acclaimed for its innovative use of space and diverse workforce, supplies fresh produce to many of the local grocers and restaurants. This community’s commitment to health is also reflected in the five-star rating our local hospital, St. John’s Medical Center, recently received from the Centers for Medicare and Medicaid Services, a designation awarded to only a handful of hospitals nationwide. Unlike other communities where parents struggle to get their kids outside, our kids here can ski all winter and participate in countless outdoor activities in the summer. Our challenge is to keep them outfitted in all the gear they need, from skis to hiking boots, kayaks to mountain bikes. Thank goodness for the annual community ski, bike and boat swaps! For families who lack the resources to buy recreational gear, local philanthropy has once again stepped up to the plate. The Doug Coombs Foundation is a perfect example. 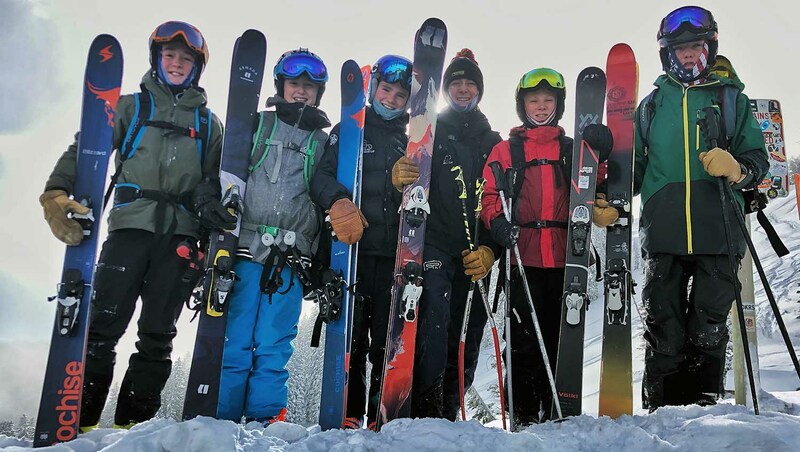 Each winter, it sponsors 180 low-income children in a winter-long ski program, providing everything from lift tickets and instruction to skis, boots, helmets, goggles and jackets. In 1942, 10 years after prohibition, when Franklin Roosevelt was president and John Wayne had just filmed “Wyoming Outlaw,” the Stagecoach bar, at the base of Teton Pass, became the watering hole of Wilson, Wyoming. Since 1969, The Stagecoach Band has had a regular gig on Sunday nights from 6 p.m. to 10 p.m. Locals call it “Sunday Church” because it is so revered. They always end the set with a campfire rendition of “Stay on the Sunny Side of Life.” It’s a perfect way to bookend your weekend and set you off on the right foot for the coming week. People of all walks of life share the storied dance floor in what has been described as a great melting pot. The songs enliven swing dancing and two-stepping, and the music is orchestrated by the infamous Bill Briggs, the first person to ski the Grand Teton. Briggs, who was born in 1931, is older than the bar itself, yet he has rarely missed an opportunity to play banjo, autoharp and 12-string guitars with his band. If you are lucky, you will get to hear him yodel. The bar has been featured in James Blunt’s video “Bonfire Heart” https://www.youtube.com/watch?v=g1j1qwQQ8-Q and has been the subject of a feature film by local filmmaker Jennifer Tennican, who also made a film about the Vertical Harvest greenhouse. “Whether you are a ranch hand, tourist or movie star, it’s just a great, great place,” says Cle Clark, owner of the Stagecoach from 1962 to ’73, in a 1984 Jackson Hole News quote on the Stagecoach website. For such a small community, Jackson Hole not only has big culture but it also has a lot of choices when it comes to education. 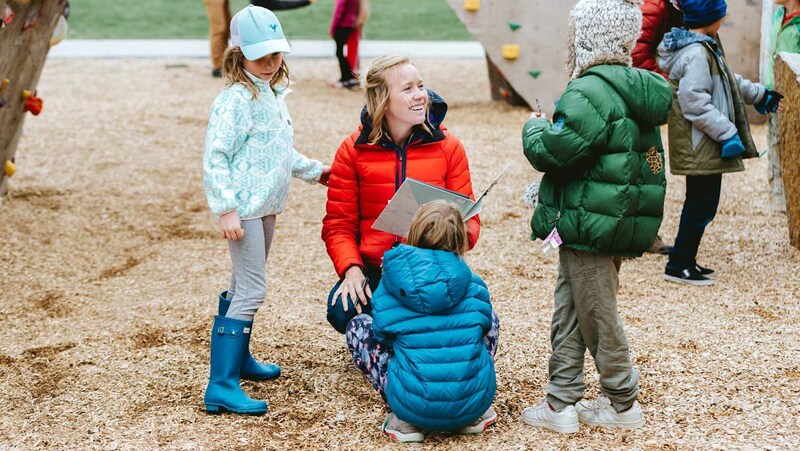 In addition to a reputable public school system, Teton Science Schools runs a grades K-12 place-based Journeys School, which offers International Baccalaureate classes at the high school level, field studies, graduate school courses and a new independent study program. Other private school options include The Classical Academy for K-8th grade and The Community School, a private college-preparatory high school. The average salary for a local elementary school teacher is $55,649 per year, which is 21 percent above the national average. As an energy-rich state with no income tax, Wyoming spent more per student than any other state in the nation other than Alaska and ranked in the top ten school districts in the nation in a 2016 Education Week Research Center study. According to the National Assessment of Educational Progress 2018 report card, Wyoming students tied with students from six other states for the top rank in fourth-grade mathematics scores. They continue to remain above the national average in fourth- and eighth-grade reading and in eighth-grade math. Ongoing education and community enrichment classes are abundant at the JH Center for the Arts, where there is a Central Wyoming Community College campus, art and dance studios and a 500-person theater for various performances, films and speaker series, including TEDxJacksonHole. 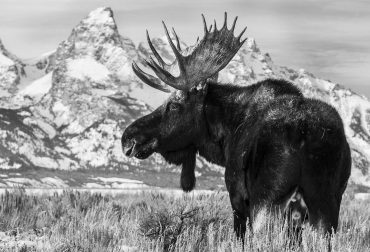 Every year, big thinkers come to Jackson Hole to talk about the state of the economy, wildlife and wildlands management. The Federal Reserve Bank’s Economic Policy Symposium, which began meeting in Jackson in 1981, is one of the longest-standing central banking conferences in the world. 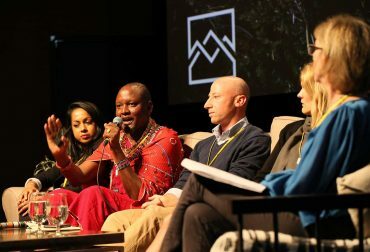 The SHIFT Festival (Shaping How we Invest For Tomorrow) hosts emerging leaders in adventure and conservation to discuss solutions to climate change and opportunities to preserve, protect and promote public lands. And every other year on even years, the world’s leading wildlife filmmakers come to Jackson Lake Lodge in Grand Teton National Park for what is widely considered the “Oscars of wildlife film”: the Jackson Hole Wildlife Film Festival & Conservation Summit, hosted by Jackson Hole Wild. And in the first week of October, TEDxJacksonHole has a speaker series. 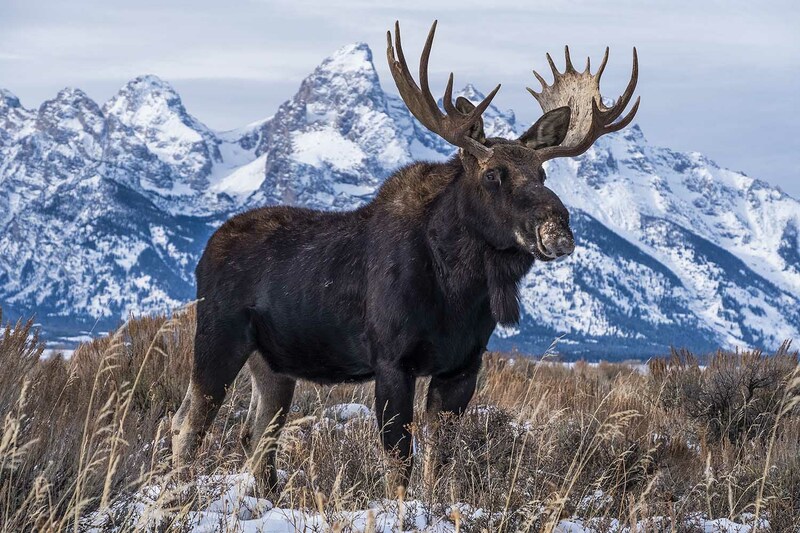 Even though Jackson Hole is one of the only places in the world where pilots circle because there is a moose on the runway, it is possible to live here and stay connected to the outside world. You’ll see the same folks on Mondays showing up for flights to the major markets like NYC, DC, Chicago and San Francisco, as they have successfully anchored their families in Jackson Hole and still keep their business endeavors in full motion. Jackson Hole is the only commercial airport in the U.S. that is located in a national park; it is also a popular mating ground for the rare sage grouse. The airport was established in the 1930s with a terminal resembling a pioneer log cabin. In 2014 it was redesigned by the renowned architectural firm Gensler. The new design, which blends with the unique surroundings, received an honor award from the American Institute of Architects. In 2017, Kiplinger rated Wyoming the Number 1 Most Tax Friendly State, and Bloomberg Wealth Manager called Wyoming the most wealth-friendly state. Why? It has some of the lowest property and sales taxes in America and no income taxes, estate taxes, no taxes on gas and groceries, no taxes on financial assets (including stocks and bonds), no taxes on the sale or gift of real estate and no taxes on out-of-state retirement income, which makes it extremely friendly for those who want to pass down their wealth. In addition to all of the tax benefits above, dynasty trusts shield real estate from federal estate taxes for up to 1,000 years. 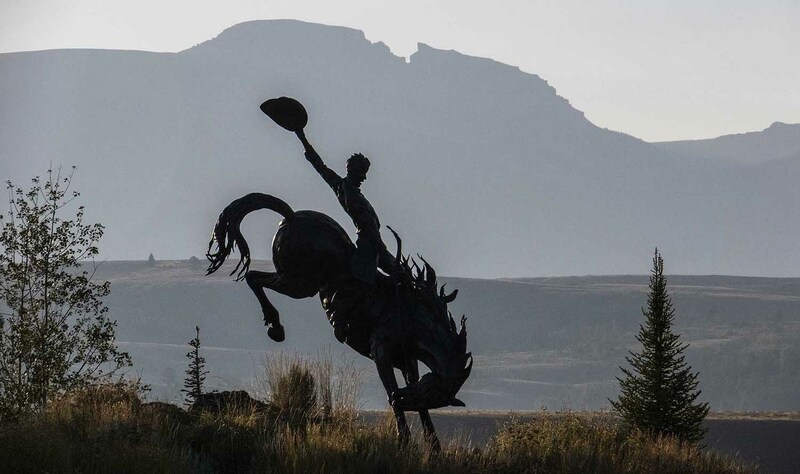 In addition to being named the nation’s Most Business Friendly Tax Climate five years running through 2017 by the Tax Foundation, Wyoming provides a variety of advantages for businesses looking to relocate or expand, including no corporate income tax. Tourism provides half our sales tax and helps fund more outsized amenities, like public transportation, pathways and cultural programming. For me, with everything this amazing valley has to offer, the tax benefits are just icing on the cake. As one of the best on-shore tax havens in America, Wyoming’s tax structure encourages philanthropy. With a lot more money in their pockets, Jackson Hole residents reinvest generously in the community’s thriving nonprofit organizations. Thus the outsized economic rewards of living in this unique valley help to inspire the conservation, philanthropy and creativity that make it so special in the first place. By Latham Jenkins, edited by Julie Fustanio Kling. Photography by Latham Jenkins unless noted otherwise.